A THOUSAND YEARS OF HISTORY ARE ABOUT TO BE REWRITTEN! A strange people land on the shores of the Mayan Empire, triggering a battle for the very survival of a civilization already in upheaval from a punishing drought, the fight falling to a young chieftain left to face what he believes is the wrath of gods angered by a loss of faith. A thousand years later, Archaeology Professors James Acton and Laura Palmer are invited to an incredible discovery that reveals the truth of what happened in those fateful days 400 years before Columbus. Yet before they can fully explore this amazing find, they are thrust into the middle of the Mexican drug war, Acton and Interpol Agent Hugh Reading taken hostage, leaving it up to Laura to save them. 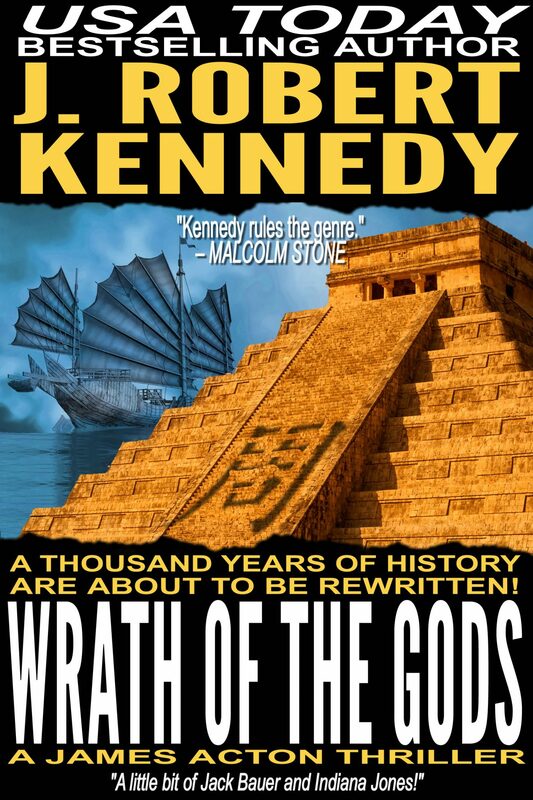 Four-time USA Today Bestselling author J. Robert Kennedy once again takes history and twists it to his own ends in Wrath of the Gods, an action-packed thrill ride only he can deliver. Prepare to be on the edge of your seat as a forgotten history is revealed, and a race against time unfolds with enough heart-pounding excitement, laughter and tears, to satisfy any action fan. Click the Sample tab above to read the first few chapters now! 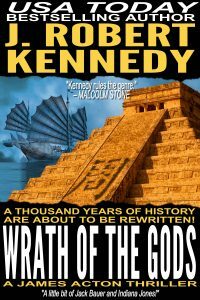 Wrath of the Gods, the latest novel from USA Today bestselling author J. Robert Kennedy, now available in print and eBook format wherever books are sold.